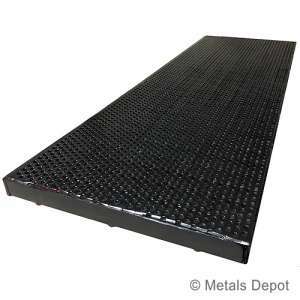 Metals Depot exclusive Drain and Trench Grates are a more economical and durable solution for covering drainage openings than the traditional cast iron grates. Ideally suited for applications ranging from garage drains, sump pump drains, driveway trenches, parking lot drains, and roadways. We manufacturer these in many popular configurations but will gladly quote any custom application you may have. 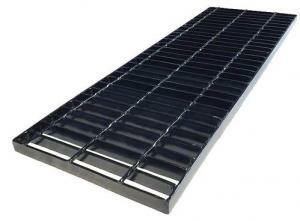 Our drain grates are available from the economical bar grating for light duty traffic to the heavy duty GREAT PLATES™ for the more extreme uses. 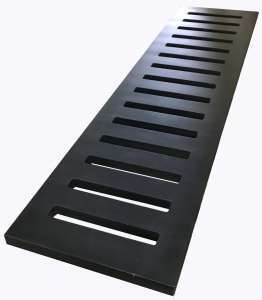 Shop below for just what you need in prepainted or galvanized trench drain grates. 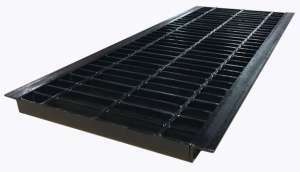 Perf-Grate™ Driveway Drain Grate - 1" x 12" x 36"
No-Ledge™ Driveway Drain Grate - 1" x 12" x 36"
Steel Driveway Drain Grate - 1" x 12" x 36"
Grate Plate™ - Extreme Duty Driveway Drain Grate - 3/4" x 12" x 48"
Steel Driveway Drain Grate - 1-1/2" x 6" x 36"
Steel Driveway Drain Grate - 1-1/2" x 12" x 36"